As some of our honoured members are still around and others will eventually join with time, let's start talking about our beloved NT and the upcoming Euro 2020 qualifying. We have 2 tough matches in a few days, after a very long winter break...Would be nice to start with a draw against BIH. Last edited by Misho; March 17th, 2019 at 19:12. Finally opened the thread! I have no expectations to qualify in this group. 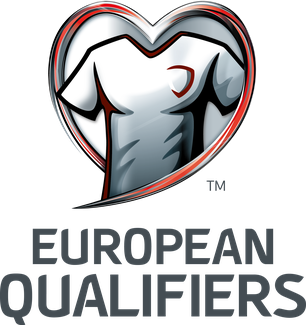 I think Italy will win the group with Bosnia being runner up. Personally, I'd be satisfied if we manage to avoid last and second to last place. Anything higher than that and we would be punching well above our weight. Is Briasco really coming ? Will the federation pay for his flights ? I'm not happy about Marcos missing the two coming games, he is a quite crucial player for our squad. Most of our important players are having a bad time with their clubs atm. Aras for instance, he is constantly on the bench with Willem II, and they always get positive results when he doesn't play and lose when he plays. If he can't make it in one of the weakest teams of Holland, where can he make it ? Such a wasted talent. Adamyan is doing well though. He has started to score again, hopefully he'll sign for a bundesliga team next year. Considering Aras barely played professional football in the last three years, this year is actually something of a renaissance. He's played over 1,000 first team minutes this season and has contributed in meaningful ways, even if he isn't starting. Armenia continue to set hilarious landmaeks in the football landscape. 1) Gives Gibraltar it’s first ever competitive victory. 2) Calls up FIVE keepers to a round of qualifying matches. In all seriousness, have to agree with the above sentiments. Maybe it’s good to set the bar low every now and then? I am always full of optimism whenever our National Team plays. In our case it's best to set it very low. I‘d be satisfied if we manage to beat Lichtenstein twice. That‘s how low/high my bar is. In fact I think the same. Beating Liecheinstein twice and avoiding humiliations (at least home) against the other teams is the most realistic thing we can hope for at the moment. Maybe try to grab a point home against Finland or Greece. But not more. I think Adamyan is basically guaranteed to start. I suppose it'll be between Aras and Babyan on the right wing. Making it out of this group will need us to play like the '12 Cycle, which doesn't seem likely unless everyone zeroes in. Not having Pizzelli is going to sting real bad, he'd been our best player in the Nations League, imo, and going to need Aras to step up and stay healthy. If we can take three points in the opening two matches, I'd be happy. But expecting to leave with a draw against the Fins and that's it. I'm pretty much afraid for the game against Finland. Not that the opponent itself is frightening but this is the typical kind of game we can lose 0-3. Remember when we lost 0-3 to Czech Republic in 2013 or when we lost 0-5 to Romania two years ago, the conditions were quite similar. Possible scenario is we will start the game playing an odd attacking football and the finns will counter us and score easily. Going on full attack would indeed be a bad move for Armenia. Finland plays very tight and organized, very good at the counter. Looking to trigger the opponent into making mistakes. Scoring isn't really a strentgh though. We won our Nations League group with goal difference of 5-3. Teemu Pukki of Norwich City is the main weapon, as he leads the Championship in scoring this season. Yura and Arsen won’t play against Bosnia. Not really going to miss them because Yura doesn’t even have a club. The guys are already in Bosnia. Let’s see some potential line ups that we would like to see. Don't you worry, that optimism will go down the toilet sooner then diarrhea once you see them play. I went from optimism during the Portorfield era to I don't give a diarrhea about this team anymore. Neither the players, the coach nor the federation take this team seriously. Which leads to why anyone would take our NT seriously. The five goaltenders are a good sign of the "expectations" for this team. Get ready to take it up the arse boys. Had Yura been in good form, I would have had some level of hope but I really don't see a reason to even bother watching this team anymore. Nothing will change unless management and players start to take their jobs seriously. Maybe someone can go streaking during the game so we can get our NT on the highlight reel somewhere. Good line-up. Hope everyone will give their best! Good luck to the boys. Please try to scrape a draw!